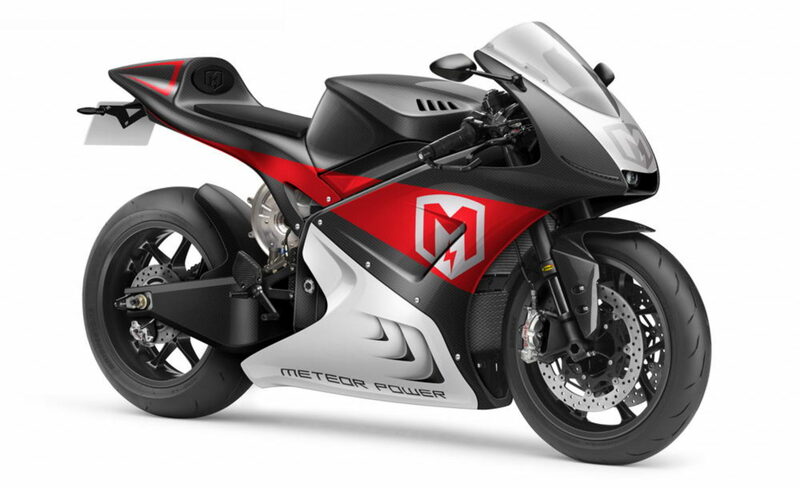 Meteor Power brings a fresh approach to electric and hybrid vehicle innovation with a range of powertrain projects brought together with a new electric motorcycle destined to change how people view high performance motorcycles. The team has many years experience racing and developing motorcycles at the highest level. After several seasons competing in the World SuperBike paddock to achieving race wins and lap records in the British SuperBike Championship Meteor Power embarked on the design of a high performance engine upgrade package for use in MotoGP. The company is now developing their own electric motorcycle, compact hybrid powertrain and fast charging system. With a goal of becoming the McLaren of the two wheel world whilst also selling and licensing power train and other engine technology to Tier 1 and OEM customers. – A highly modified Aprilia based engine intended for use in the non-MSMA, formerly known as CRT, class at MotoGP. The engine features a different bore and stroke with new pistons, rods and crank, a completely new cylinder head to our own design featuring pneumatic valves and a revised gearbox. – A new electric motorcycle chassis and power train to maximise the performance and handling opportunities where the design is not constrained by having to work around a heavy petrol engine, or a single large box of batteries for that matter. – A compact petrol hybrid engine for motorcycles and lightweight sports cars. Half the size and half the weight of a typical engine with double the power density. Intended to significantly reduce emissions without sacrificing power. – A new electric motor and controller with integrated 100 kW rapid charging system. Class leading power density, with compact packaging and capable of charging our electric motorcycle in around four minutes.